Each year we choose a home charity to raise money for in school. 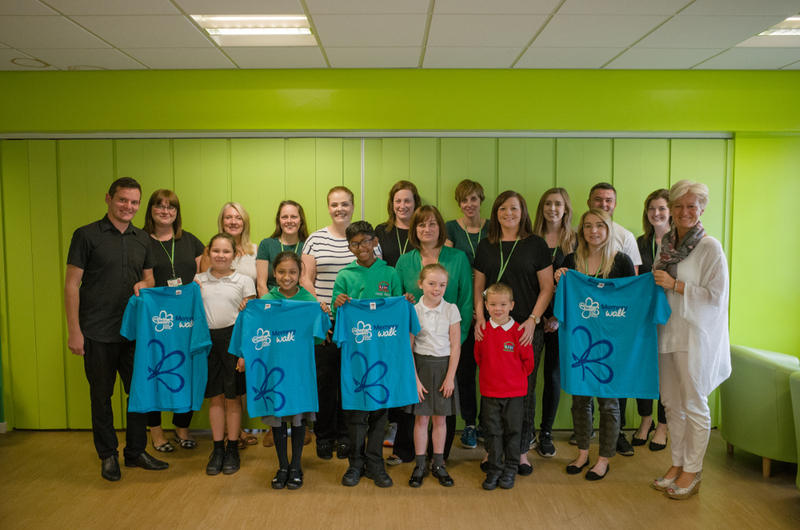 We are happy to announce that this year the children have chosen to support Alzheimer’s Society . We will be fundraising throughout the year to support this excellent charity but wanted to let you know about the first fundraising event RAPS will be participating in. 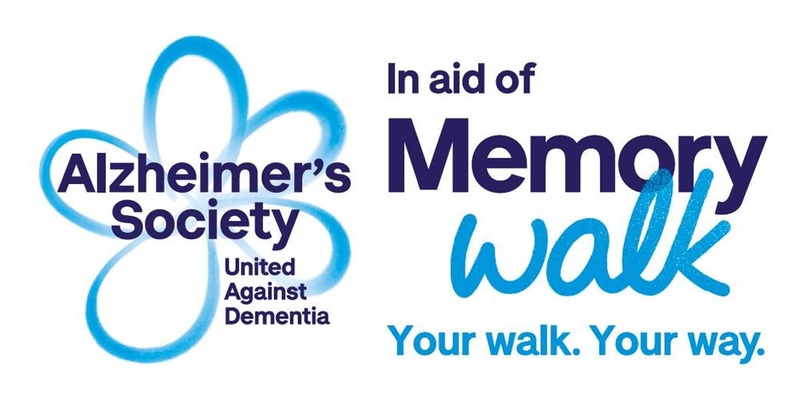 As you may already be aware, Alzheimer’s Society organise a sponsored walk called ‘Memory Walk’. As a team of staff, we have decided to participate in the Memory Walk this year. Our head girl, Leana and head boy, Vishal will be participating in the walk with us too! Our Head Boy and Girl giving information about the Alzheimer’s Society Memory Walk. 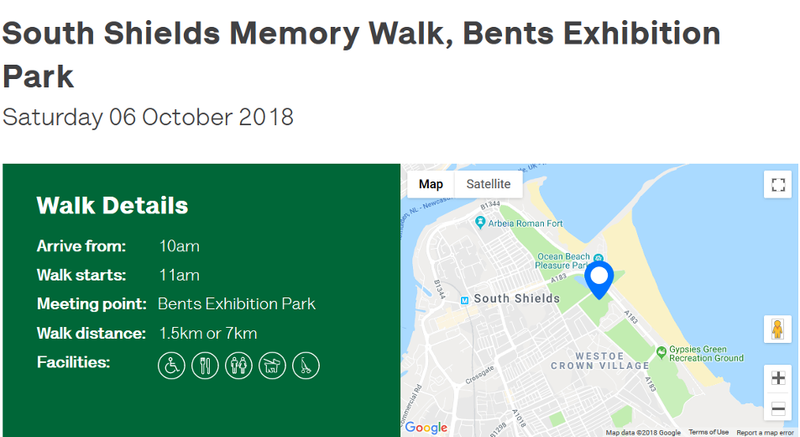 We will be completing this walk on Saturday 6th October at Bents Exhibition Park in South Shields. We have a Memory Walk team set up for RAPS and if anyone would like to join our team and complete the walk with us, the details are below. Visit the Memory Walk Website to find out about the walk we are participating in . 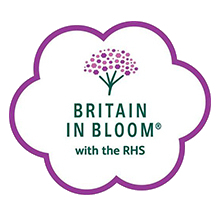 Register with your details and when you are prompted enter the team code – MW74582. Please let either Miss Cherrett or Mr Old know if you are joining our walk. At RAPS we are looking forward to the walk already and would love any extra additions to our team! We will be completing the 7km however there is a shorter walk of 1.5km. Children can participate in the walk if accompanied by an adult (please bare the distance in mind for smaller children). 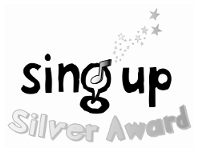 We have set up a Just Giving page to fundraise as a group and we would appreciate any sponsors that you would like to make on our page! Leave us a little message of encouragement and support if you do! 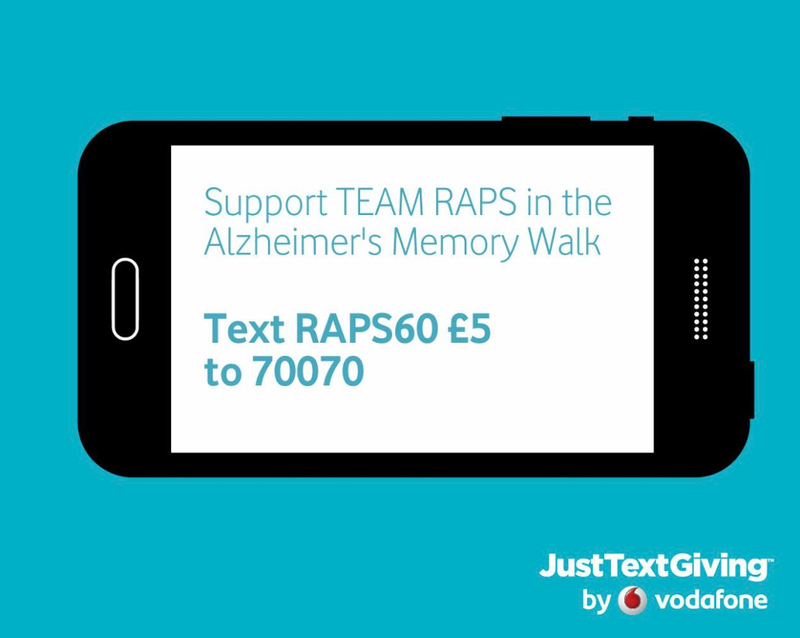 You can also text RAPS60 £5 to 70070 to donate £5. If you have any questions, don’t hesitate to come and ask! We hope you agree we are supporting a fantastic cause and can help us in raising as much as we can for our Memory Walk!